Pre-shift wheel and tire sale this Saturday, October 28th, 10am-12pm! Select wheels* and tires will be brought out to the parking lot and sold cheap while supplies last. 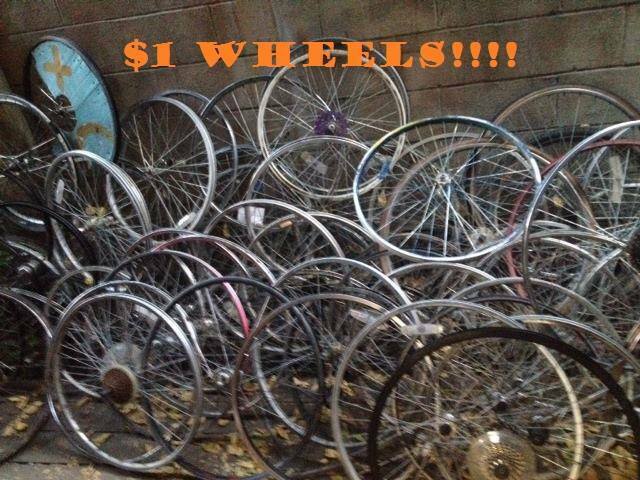 *Please note: $1 wheels are all in the “needs work” category—may need truing or a hub rebuild, etc.—but are in good shape otherwise.